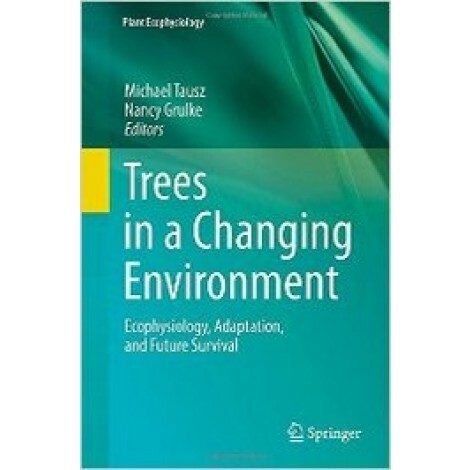 This book delivers current state-of-the-science knowledge of tree ecophysiology, with particular emphasis on adaptation to a novel future physical and chemical environment. Unlike the focus of most books on the topic, this considers air chemistry changes (O3, NOx, and N deposition) in addition to elevated CO2 effects and its secondary effects of elevated temperature. The authors have addressed two systems essential for plant life: water handling capacity from the perspective of water transport; the coupling of xylem and phloem water potential and flow; water and nutrition uptake via likely changes in mycorrhizal relationships; control of water loss via stomata and its retention via cellular regulation; and within plant carbon dynamics from the perspective of environmental limitations to growth, allocation to defences, and changes in partitioning to respiration. The authors offer expert knowledge and insight to develop likely outcomes within the context of many unknowns. We offer this comprehensive analysis of tree responses and their capacity to respond to environmental changes to provide a better insight in understanding likelihood for survival, as well as planning for the future with long-lived, stationary organisms adapted to the past: trees. 11. 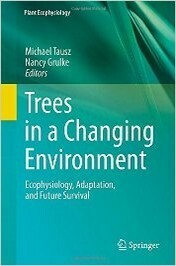 The future of trees in a changing climate - synopsis; N.E. Grulke, M. Tausz.